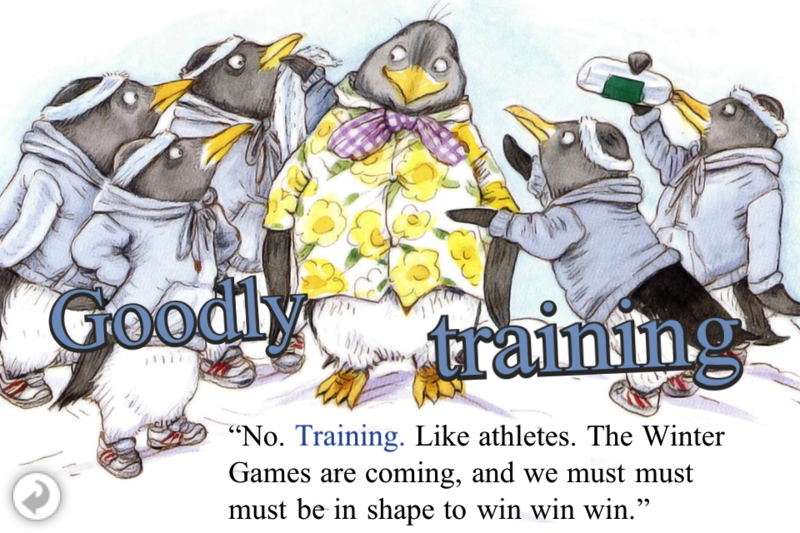 The first Tacky the Penguin book was published in print in 1990. This title, about the 'odd bird' going to camp, came out in print in 2009. After reading any one of the "Tacky" books, it isn't difficult to understand why this character would be popular decades later. 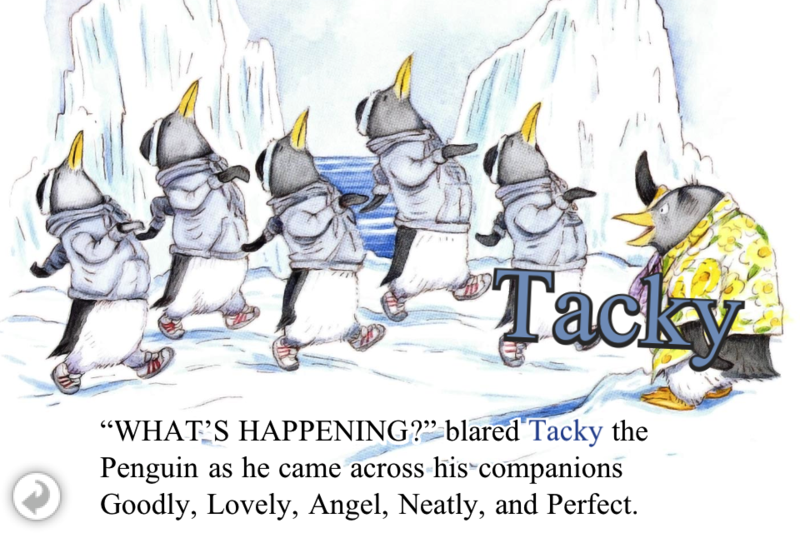 Tacky always stands out from the other penguins for being a little bit different. But with siblings named Goodly, Lovely, Angel, Neatly and Perfect, this is a family in need of a little trouble-making. Tacky's non-conformism comes in handy of course. This time a bear threatens to eat the birds one night and Tacky scares him away simply by stumbling around with his sleeping bag over his head. He may not be Perfect, but Tacky is well-loved for helping the flock stay safe. As a digital book, this one is well made. It has light animation of snow falling as well as light interactivity. It is also very engaging and well-narrated (right down to the truly awful singing). 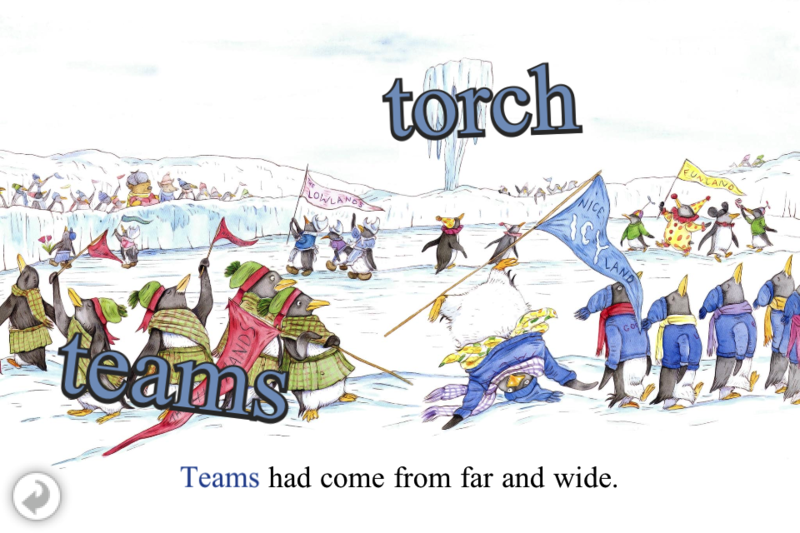 The app also enhances early reading skills, with narration that highlights as it is read and images that name themselves when tapped. For example, touch the s'mores and the word "s'mores" appears on screen while it is spoken aloud by the narrator. This is a top-notch digital picture book with a wonderful story that is uplifting and engaging. The only improvement I can suggest would be a page guide for navigating within these rather long titles. 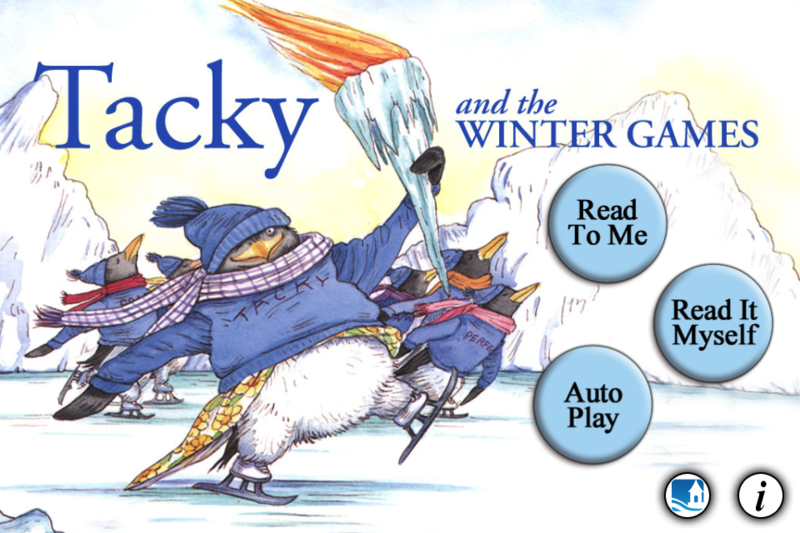 Overall, the "Tacky" series features great storytelling and a useful way to teach about appreciating differences. 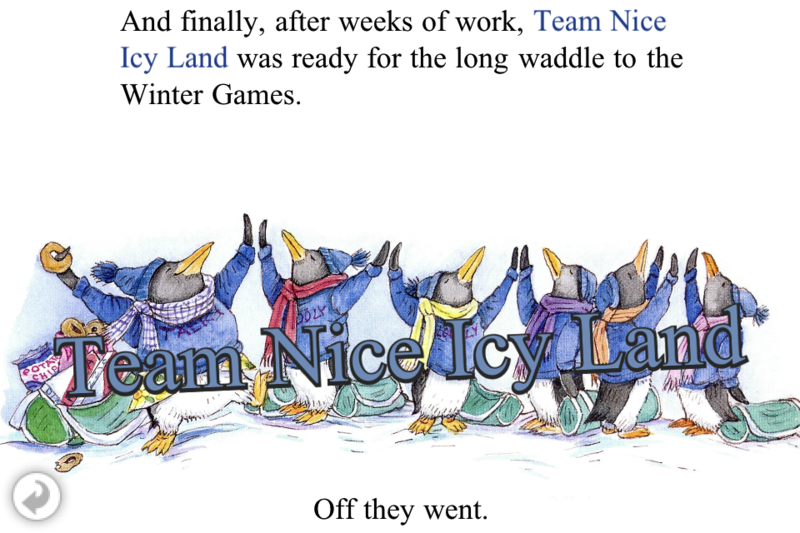 Tacky the penguin and his siblings go to camp Whoopihaha, an icy place. As usual, Tacky stands out, missing the archery target, singing too loud and eating way to many s'mores. He even falls asleep in a pile of the sticky candy. After telling scary bedtime stories around the camp-fire, Tacky's story about a bear comes true, with a hungry ursine stomping into their camp overnight. But the 'odd' bird is always great to have around. Tacky scares the bear away simply by stumbling toward him with his sleeping bag over his head. The s'mores make a sticky impression on his bag that looks like a scary face and soon the bear thinks better of sticking around to eat penguins. Once again, Tacky saves the day!